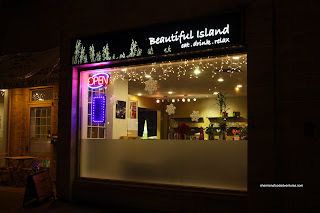 Awhile ago, Jenny had blogged about this small Taiwanese bubble tea restaurant out on Imperial called Beautiful Island. From her post, it didn't inspire me to visit the place anytime soon. However, the place is open late and you know I like to eat out after hockey. So... it suddenly reappeared on my radar, especially since there are not a whole lot of places to eat in Burnaby after midnight. From what I can recall, there is The One, Potter's Garden, Au Wing Kee, #1 Beef Noodle, Bubble World, Curry King and of course the chain restaurants. Chill used to be one option; but it has since closed down. If you read my post about it, you'll see why that happened. One problem with Beautiful Island. I wasn't sure when they actually closed. Easy, just call them. Yah, that would be ideal if they actually had a number listed! The number on Urbanspoon is wrong and there seems to be no other form of documentation on the internet about this place. I really didn't want to randomly visit the place to find out it is closed. Yet, that is what we did. No choice. We wanted to eat, it was late and we wanted to head to Burnaby. Luck would have it, it was open. Open until 1:00am on Friday and 2:00am on Saturday. Oh and I still don't have the right phone number because they don't have a take out menu. I usually get the info that way. I didn't write down their phone number. Epic fail of sorts. 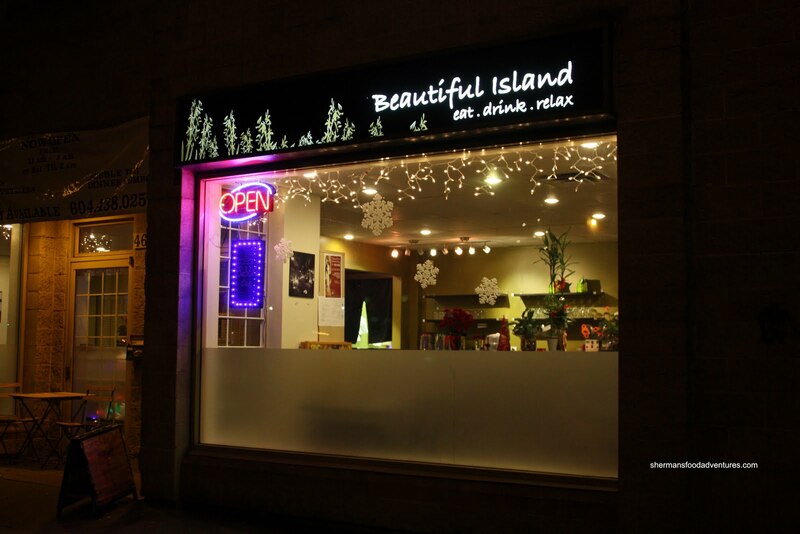 The reason we chose Beautiful Island is because Apu, Gordo and myself reside in Burnaby. Thus, Milhouse and Boss Woman were the token Vancouver residents. When we arrived, there was only one other table. Maybe it was late? Maybe they don't have a working phone number listed??? Sorry, that just bugs me! Boss Woman really likes to share food as a means to try more than one dish. Hey, so do I! Perfect! 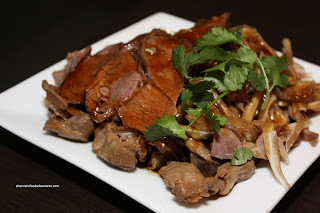 Hence, we shared 3 items starting with the Marinated Combo consisting of Beef Shank, Pig's Ear and Chicken Giblets. This would've been really good if the sauce actually tasted like anything. For some reason or another, the sauce was bland despite the rich colour. Therefore, the meat was flavourless. Where the meats were bland, the Salty Peppery Chicken Nuggets were a flavour explosion. 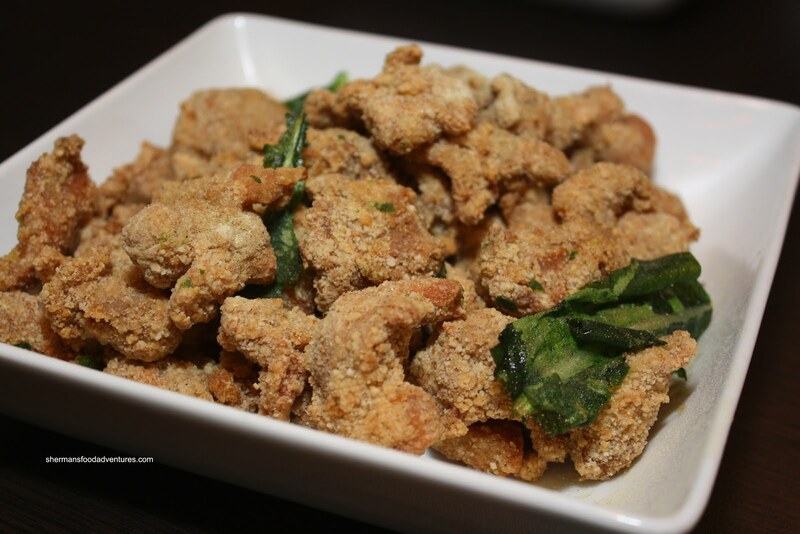 As the name suggests, it was salty and peppery; but in good balance. I liked the moist chicken that still had a light crunch. This was very good. Surprisingly, the best dish, in our opinion, was the Shrimp Fried Noodles. The noodles were al dente and none-too-oily. 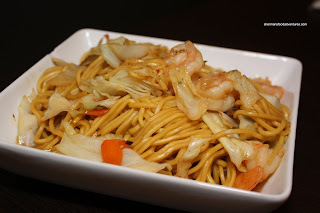 Lots of crunchy cabbage and carrots with large butterflied shrimp (should be called prawns) made for a solid fried noodle dish. Now we wouldn't visit this type of restaurant without trying the Beef Noodle would we? Well, I made sure that everyone knew this... Milhouse and Gordo both got an order to try. First off, the noodles were al dente and the broth actually had some kick to it. However, as Milhouse remarked, "the soup is flavourful; but I can still taste the water". Thus, the soup lacked any real depth. The meat was actually quite dry and slightly chewy. 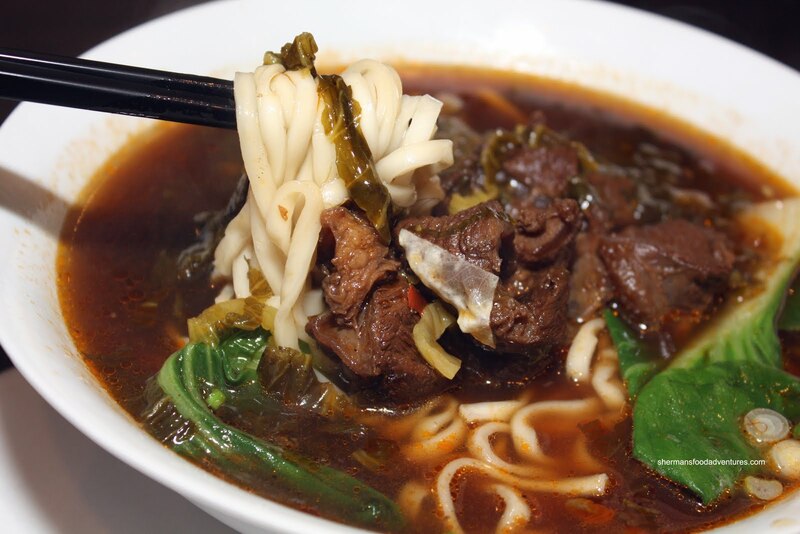 Not a bad beef noodle, just not a good one. Apu went for one of their set meals which includes 3 mini-side dishes (pickled cabbage, green beans and a severely overcooked boiled egg). His main dish was Stir-Fried Cabbage and Pressed Tofu. Although the plating was not the prettiest, the dish was not bad. 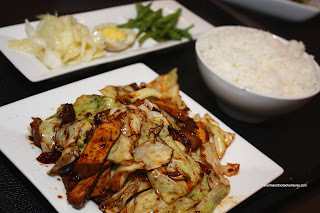 The cabbage was still crisp and there was no absence of flavour or spiciness. Hey, I gotta agree with Jenny here. The food ain't bad; but it isn't memorable as well. Good for late night, not sure about other times. Thank for the shout out :). And I couldn't agree more with the less than attentive service.